You laughed at us. Some sent negative mail. The Garden Gnome Uprising is Imminent. Be Prepared. Garden Gnomes are rising. And they are coming for you. Don’t panic. The threat is real, but you still have time to prepare. We have created this site to help the average human survive the upcoming apocalypse, because your government will not. You are on your own. We know you hear about crises all the time. Ebola, zombies, nuclear war, H1N1. Yes, those are scary. But they might never happen. The Garden Gnome Uprising will happen within the next 6 months. This is a FACT. I am sure you are wondering how we know this. We have government contacts, eye witnesses, and first-hand experiences to name a few. We are not typical conspiracy theorists — we have spoken in-depth with government agents who have studied gnomes for years. We cannot quote them here, because they swore us to secrecy, but believe us when we tell you, the threat is real. Gnomes have been seen in greater numbers everywhere, mostly in the Northwestern United States. We have conducted hundreds of interviews with eyewitnesses to gnome activity. Most will not be interviewed on camera, but we did get one brave person to speak on camera. Video coming to the site very soon. We are writing a comprehensive history of Garden Gnomes, but the information is hard to gather. To see what we have learned so far, visit our history page. Please take a few minutes to review the information on our site. It might save your life. 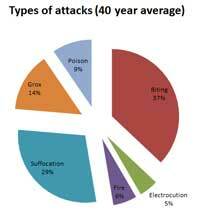 Recently updated data and statistics have become available to our team of researchers. This data has been overlaid and manipulated with some of the finest technology available to provide a snapshot of the past and a view to the future. Download and print your own fliers to alert your neighbors and generate community awareness. legal sounds on The Garden Gnome Uprising is Imminent. Be Prepared. cheap vintage cars on The Garden Gnome Uprising is Imminent. Be Prepared. 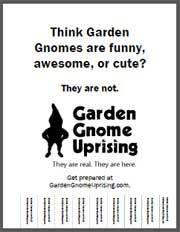 www.rebelmouse.com on The Garden Gnome Uprising is Imminent. Be Prepared.